So you don't have plans to whisk your sweetheart to a cozy mountain lodge for Valentine's Day. You can still bring some fresh mountain air into the bedroom. Here's how. 1. Borrow or buy a — something that looks like it belongs to an arborist. 2. Cook up a lumberjack breakfast: eggs, pancakes, bacon. And pair it with a bottle of . 3. Tuck into breakfast with . 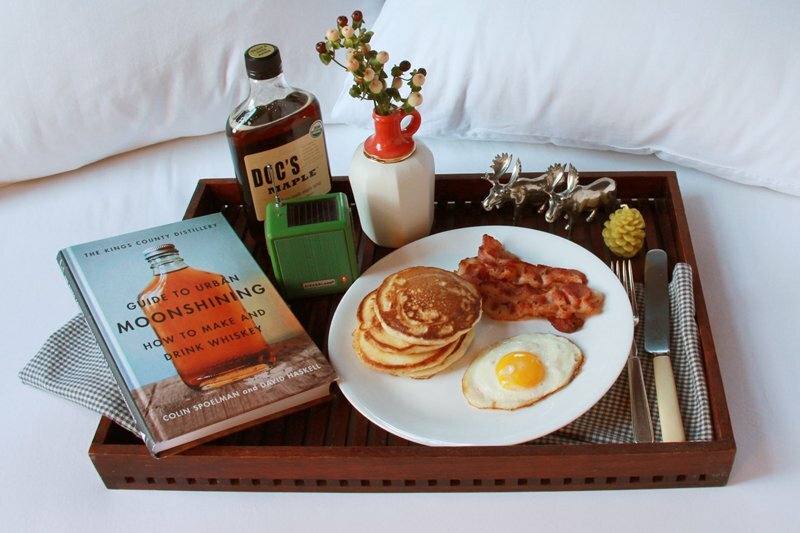 Tuck into bed with . 4. add a touch of woodland whimsy. 5. A small can be filled with a few twigs and berry branches to bring the outdoors inside. 6. Set the mood with a small . 7. And light a candle or two in the shape of . 8. For a truly sensory experience, spritz some around the room, or bring in a few small fir trees. 9. After breakfast, get under the covers with the . 10. Don't forget the .